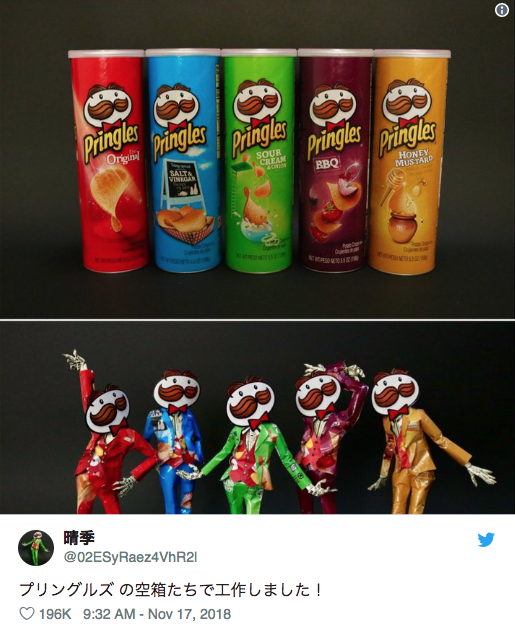 Japanese Twitter user @02ESyRaez4VhR2l instantly gained Internet fame a few months ago when they masterfully transformed a used tube of Pringles into the spitting image of mascot character Julius Pringles. It was not long before the company sent them a package containing several cans of Pringles potato chips as thanks. But as they were a professional paper crafter, their instinct drove them to twist and fold the packages into a troupe of suit-wearing gentlemen. ▼ Looking mighty fine there. 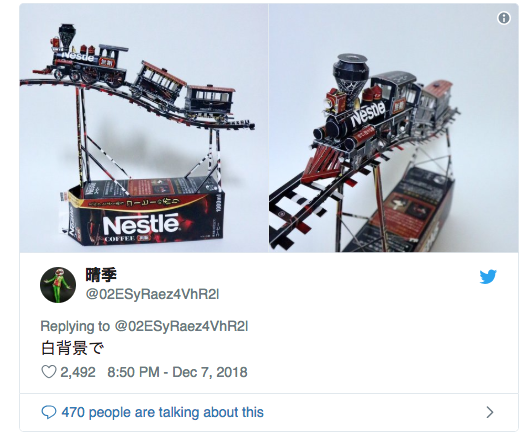 Each figure took approximately six painstaking hours to craft, but the end result was nothing short of amazing. 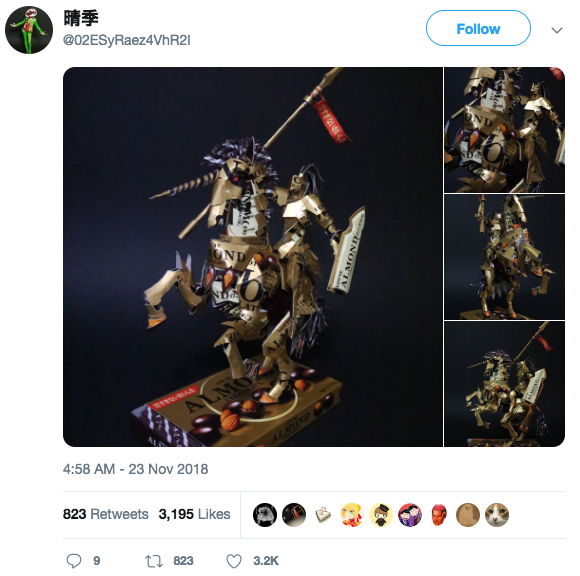 Their skills are not only limited to making humanoid figures. They have worked laboriously on various projects that range from intricate vehicles to marvelous buildings ever since. 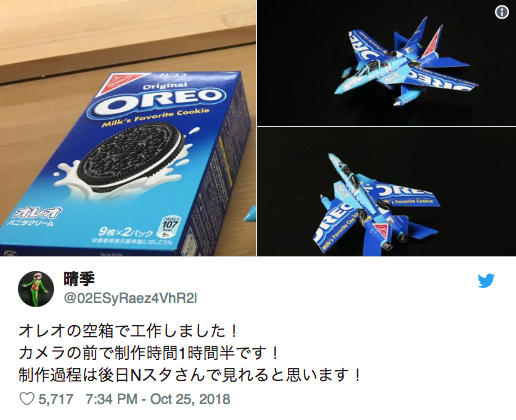 ▼ They even made a cool fighter airplane in one and a half hours using just an empty box of Oreo cookies. 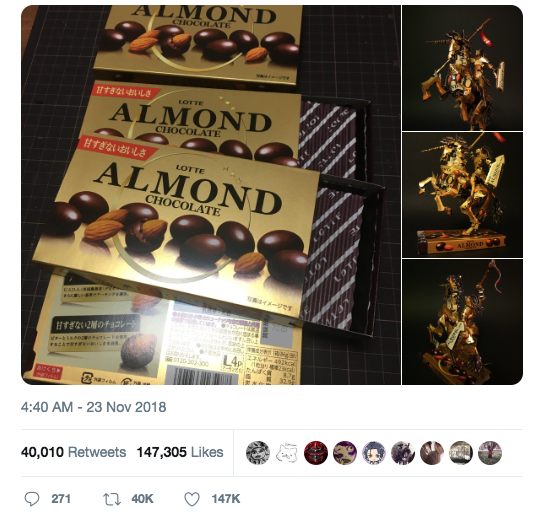 ▼ Lotte’s Almond Chocolate box? Well, now it’s a knight in shining armor riding a fierce war steed. ▼ We see snack boxes as mere packaging, but to them it’s gorgeous artwork waiting to be created. 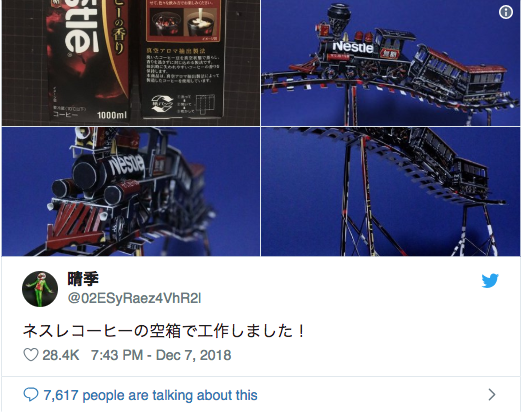 ▼ …while a carton of Nestle coffee is transformed into a magnificent train complete with rails. ▼ This is like an evolved version of origami. 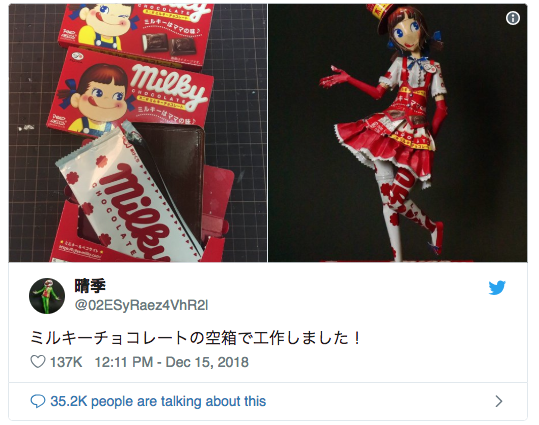 ▼ Their latest work is a recreation of Peko-chan, the cute mascot character of Japanese confectionery company Fujiya. 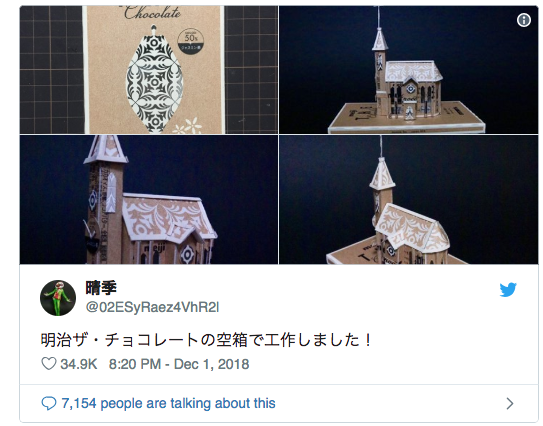 Although @02ESyRaez4VhR2l is not the first one to create impressive art pieces out of snack boxes — others have also done the same — none have come close to this level of polish and gorgeousness. Honestly, we cannot wait for them to churn out yet another magnificent piece to blow us all away again.